What’s the Relationship between Your Heart and Your Oral Health? Most people wouldn’t think to ask a question like this. After all, we tend to think of oral health as something separate from overall wellbeing. But the truth is that poor oral health can make you more vulnerable certain kinds of health problems, including heart disease. Connecting the two is gum disease, an incredibly common oral health issue that affects a majority of the population. Gum disease is caused by a buildup of bacteria and plaque around the gum line. Over time, the bacteria and plaque of gum disease can create pockets between your teeth and gums. They can then use these pockets to enter the bloodstream and travel to other parts of the body, like the heart. Once there, they can contribute to clotting and even heart attack. Given the connection between your smile and your overall wellbeing, you might wonder what you can do to protect yourself. Dr. Georgy and Dr. Mohanna of Complete Cosmetic Care Dentistry recommend following a homecare routine that includes flossing at least once a day and brushing at least twice. A good antibacterial mouthwash can also help by minimizing the amount of bacteria in your mouth. Regular checkups and cleanings are also important. During your appointment at our Sapulpa office, Dr. Georgy or Dr. Mohanna will assess your health and look for signs of gum disease. If they find anything, they’ll create a treatment plan to help you take control of your condition and enjoy better oral health. Do you have questions about the connection between gum disease and overall wellbeing? Call Complete Cosmetic Care Dentistry for an appointment with Dr. Georgy or Dr. Mohanna. We serve patients from Sapulpa, Tulsa, Bixby, Mounds, Keifer, Okmulgee, Glenpool, Jenks, and surrounding areas. 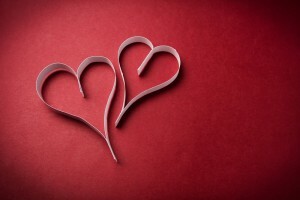 Comments Off on What’s the Relationship between Your Heart and Your Oral Health?